SMUGGLING – At the end of December 35 people lost their lives in a bombardment by the Turkish army. Seventeen of them were less than 18 years old. They were smugglers, who brought diesel and sugar from Iraq to Turkey. There is a war going on in the area between Turkey and the PKK, a forbidden Kurdish movement. That makes the smuggling risky. Why do these kids smuggle, if it is so dangerous? 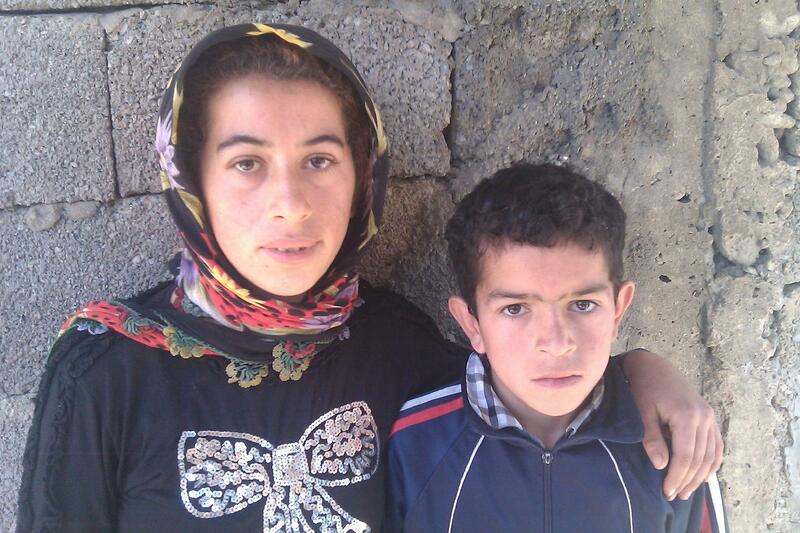 Smuggling is an absolute necessity for survival in parts of southeast Turkey. The area is inhabited by Kurds, a minority that does not have the same rights in Turkey as ethnic Turks. Thirty years ago the armed Kurdish group PKK started a violent campaign against the state. Ever since then there has been war between the PKK and the Turkish army, especially in the mountains around the border with Iraq. Because of the fighting, other means to earn a living have disappeared. People can’t go to their fields anymore, because large areas of the land have been declared a military exclusion zone. Herding sheep is dangerous: there are land mines in the area. Companies don’t want to invest in the southeast because it’s not safe enough, so there are no factories either. In a few more days the official mourning will be over and the smuggling will start again. Sinan is only eight years old but he will go too. 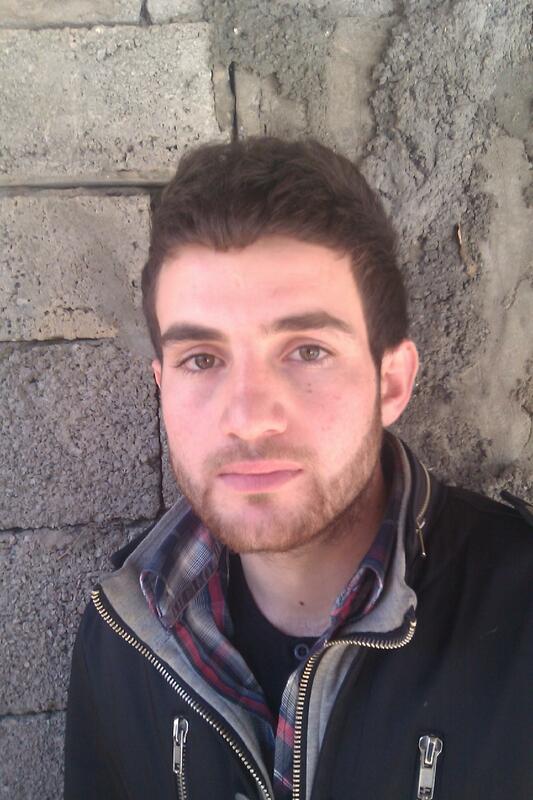 He doesn’t have a father anymore, and his 13 year old brother Sivan died in the bombing. It is now his responsibility to provide for his family. He is very quiet, and only shrugs his shoulders when he is asked if he is scared. What can he say? He has no choice, there is no other work. Just outside the village is the graveyard of Gülyazi. All the graves of men and boys who died are in one field. 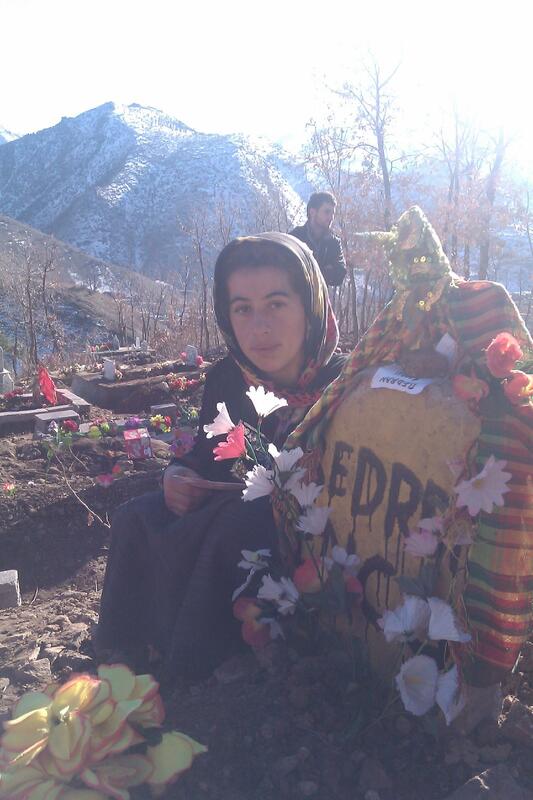 It looks very colourful: there are cloths over the grave stones in the Kurdish colours green, red and yellow, and orange, pink, red and yellow plastic flowers have been stuck into the ground. The names of the dead are painted on the grave stones: the real stones haven’t been made yet. The graveyard looks out over the beautiful snowy mountains where the drama happened. In the photos they don’t look like ‘smugglers’ just as Kurds in PKK don’t look like ‘terrorists’! These words should be challenged as they are purely labels to put people off supporting a legitimate struggle of a people brutally suppressed for merely demanding justice and rights! So called ‘smuggling’ is just trade for you or I! This article humanises past the labels! 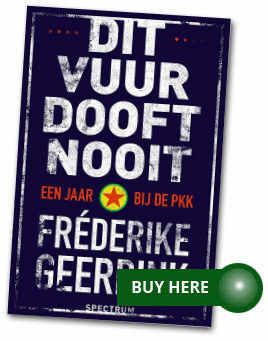 Dear Frederike take your time and have a journey to other areas of Turkey. You will find interesting people doing interesting things for living. Nothing bound to specifically being Kurdish. Mostly related to economics. And I definitely suggest you to watch a Yılmaz Güney movie : “Hudutların Kanunu (1966)”. You can have a clue of role of landlords in economical & social problems. Then you may like to read about politics in Turkey between 1940-1960 and what happened to those landlords… You might already did that but it is just my small input on subject.